London-based storyteller Xanthe Gresham returns to the Freer|Sackler for Nowruz on March 8. 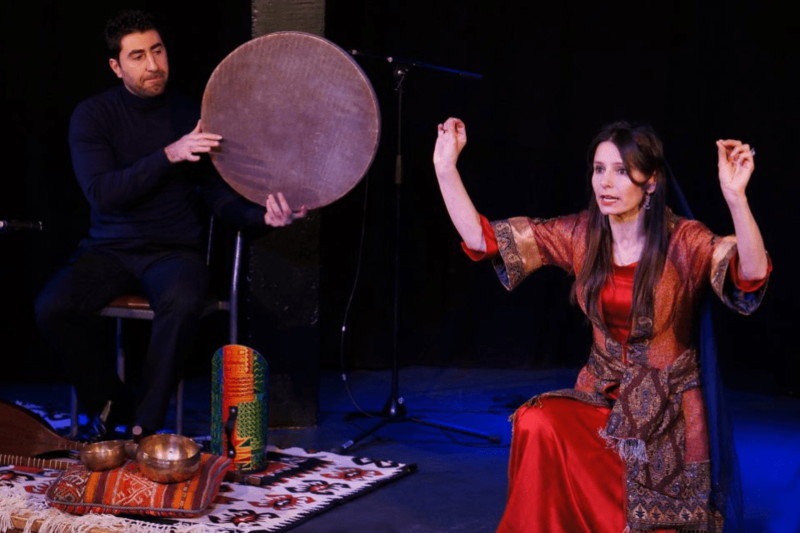 Arash Moradi and I are delighted to be returning to the Freer|Sackler with tales from the Shahnama (the Persian Book of Kings) for family audiences. It’s always a joy to be part of the museums’ annual Nowruz celebration. Revisiting these stories is like the deepening of a longstanding friendship: Each time we discover something new. An epic poem consisting of some 50,000 verses, the Shahnama took its author, Firdawsi, more than thirty years to complete. It is the longest poem to have been written by a single person. According to legend, Firdawsi was supposed to be paid his weight in gold on the poem’s completion. While he was writing, however, a new shah was enthroned, and the poet was only offered his weight in silver. When the new shah finally read the magnificent poem, he was so overwhelmed by its skill and beauty that he rushed to bestow Firdawsi with the riches he was due. The shah was too late and only met the great poet’s hearse. A heady mixture of tragedy and romance, the Shahnama piles up exquisite images and striking moments of truth and humanity. We can only scratch at the surface of this remarkable narrative, but what a rich surface it is! See the day’s schedule of events. Follow the conversation at hashtag #nowruz. Previous Post Previous Post: “The Bad Sleep Well”: How “Hamlet” Is It?